Photo : Vitaly V. Kuzmin. Russia is a country with which India has had a strategic relationship for decades. America is a place where Indians migrate to for a better lifestyle. That is how Indians view the world’s two leading powers. It’s as simple as that. US President Barrack Obama’s recent visit to India will not change that reality, and those speculating about dramatic changes in India’s foreign policy are either fools or amateurs – or both. “Good relations with the US reflect aspiration, ties with Russia are hard reality,” says Bharat Karnad, professor of national security studies at the Centre for Policy Research. “No substantive shift in policy is on the anvil, certainly nothing at the expense of India’s relations with Moscow, especially because, unlike the US, Russia has partnered, and continues to partner, India in strategically sensitive technology projects ranging from missiles, ship submersibles, ballistic, nuclear submarines to the Fifth Generation Fighter Aircraft,” he told Defense News. So the question arises – why did Prime Minister Narendra Modi and Obama hastily arrange this Republic Day romance? The US position is easy to figure out. Having banned Modi from entering the country for a decade – a decision the Americans arrived at because of intense lobbying by Indian leftists, Indian Christians, American evangelical groups and Indian Muslim organisations – the US wanted to get into the newly elected and highly popular leader’s good books. You don’t remain on not speaking terms with the leader of the world’s second most populous country at a time when the most populous country (China) and the country with the most nuclear bombs (Russia) are growing closer. Modi’s reason to forgive and forget the snub – which rankles every patriotic Indian – cannot be explained by the Hindu philosophy of “My Guest is my God”. Modi is too hardnosed for that kind of claptrap. It’s got to do with the fact that had Modi’s relationship with the US not thawed quickly after becoming prime minister, then taking its cue from the US the rest of the world too would have continued to treat him as an untouchable. The Indian media would have willingly done their masters’ bidding and gone after Modi. The CIA plants would have once again raked up false stories about Modi’s involvement in the 2002 anti-Muslim riots. That Indian courts have cleared him does not matter to these anti-national elements. Therefore, it was internal politics that forced the new prime minister to invite Obama to the parade. On January 27, hours before boarding his flight to Saudi Arabia, Obama walked into territory he had no business to be. “Every person has the right to practise their faith, how they choose or to practise no faith at all, and to do so free from persecution and fear,” he preached to an audience of young Indians. Obama was, of course, referring to the ruling BJP’s programme to reconvert Indian Muslims and Christians to Hinduism. It is no doubt a controversial issue but the US has absolutely no locus standi in the matter. Having almost annihilated the Native American race and ghettoised its black population, the US has no moral legitimacy left. In fact, wouldn’t it be great if Obama spoke about religious tolerance in Saudi Arabia as well. But no US president ever does that. Clearly, such sermonising is directed at soft states such as India. Also, it was extremely churlish of a head of state to offer such a parting shot after enjoying Indian hospitality and adulation. Russian President Vladimir Putin has visited India a number of times but when was the last time he embarrassed his hosts like the Americans did? Plus, the fact that Obama raised the touchy subject during a trip meant to build bridges is a pointer to the pressure the US leadership is under from American churches to press forward the case for the wholesale conversion of Indians to a particularly virulent form of evangelical Christianity. The danger for India is that these churches are directly connected with Indian Christian groups. Every time a US leader visits India, the media goes into a frenzy about how the visit is going to reshape the India-US relations. One tends to forget that such visits in the past had not produced much. Remember Jimmy Carter? When that lameduck American president visited India in 1978 the government renamed a village in Haryana after him. Whether Carterpuri is still around or has reverted to being Daulatpur Nasirabad is irrelevant, but after Ronald Reagan replaced Carter, India’s relationship with the US nosedived. This time the Indian leadership didn’t go overboard. But the clueless Indian media has been speculating whether New Delhi’s relations with Washington will acquire a strategic edge. For those who anticipated a flood of American military technology into India’s manufacturing sector, here’s news – all that the US is offering is technology for developing a medium range drone. Yes, they are throwing India a toy. The editor of an Indian magazine told this writer that he had come to know from “top government sources” that the Obama administration would offer India the F-35 stealth fighter and perhaps even the super secret F-22. He was politely told that India has no use for the failed F-35 and that US law prohibits the export of the F-22 stealth interceptor or its technologies. Besides, Russia and India are jointly developing the Fifth Generation Fighter Aircraft that is likely to be superior to the two American jets. 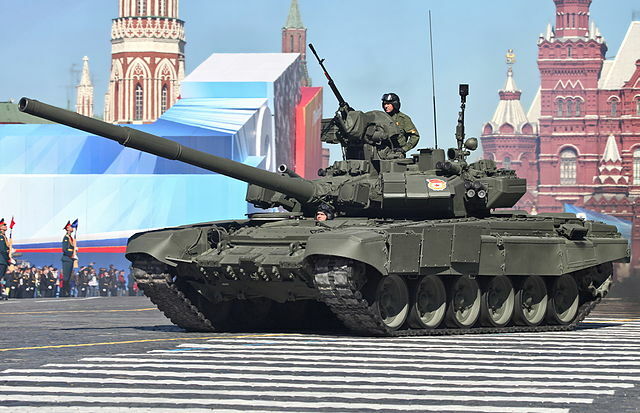 The reality is Indian military equipment will continue to be heavily Russia-centric. As well as stealth fighters, India and Russia are working together on high-octane weapons projects such as the Arihant nuclear submarine and BrahMos supersonic cruise missile. Then there’s the much feared Akula class nuclear attack submarine that Moscow has leased to the Indian Navy. A second nuclear powered submarine is expected to be leased soon. As Russian ambassador Alexander Kadakin says, no country except Russia will offer a nuclear submarine to India. And finally, why is it that every American president when he comes to India says he, his wife, family, friends, teacher, butler and essentially the whole of the US is inspired by Gandhi? Whereas back home they are inspired by generals such as Alexander the Great, George Patton and George Washington. At any rate, it is a big lie. For, if indeed the US is inspired by Gandhi, it wouldn’t be fighting wars 24/7. Unfortunately, no Indian takes offence to westerners constantly hyphenating India and Gandhi as if the country didn’t have any great leader in its over 5000 years of recorded history. On the contrary, many Indians seem to love it. This is exactly what the West wants – to box India in a peaceful mindset and emasculate its warlike spirit. For, if Indians remain peaceniks then it would be easier for the West to penetrate it yet again. Obama is sticking to that tired old script.